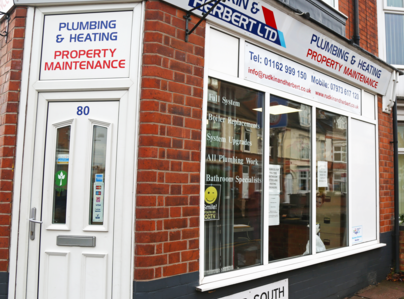 Our story began in 1992 where the business started from owning one small van in Leicester carrying out boiler works to now a fully-grown business trading in the hot water and heating industry. We provide high-quality and reliable full central heating installations, plumbing and bathroom services within Leicestershire. Qualifications & Accreditations - We hold a range of qualifications and accreditations, including Which? Trusted Trader, Gas Safe, OFTEC, FSB, MCS, Logic and RECC certified. Bespoke Service - Our central heating and plumbing service is custom designed for all your needs and tailored to your property from start to finish. Aftersales Service - We can offer up to 10 years manufacturer's guarantee and our own 12 months on labour and materials after installation. To see more reviews, visit our review profiles on TrustPilot, Reviews.co.uk, Google Plus. 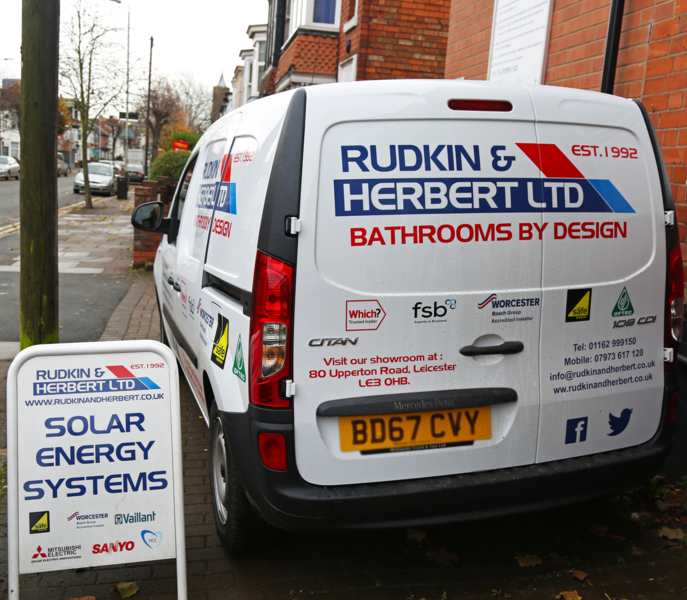 I would like to thank Rudkin and Herbert for the excellent work that was carried out on my bathroom adaptation - the work was carried out like clockwork, from one tradesman to another leaving, Pete, Simon, Chris and Rob and the staff in the office were excellent. 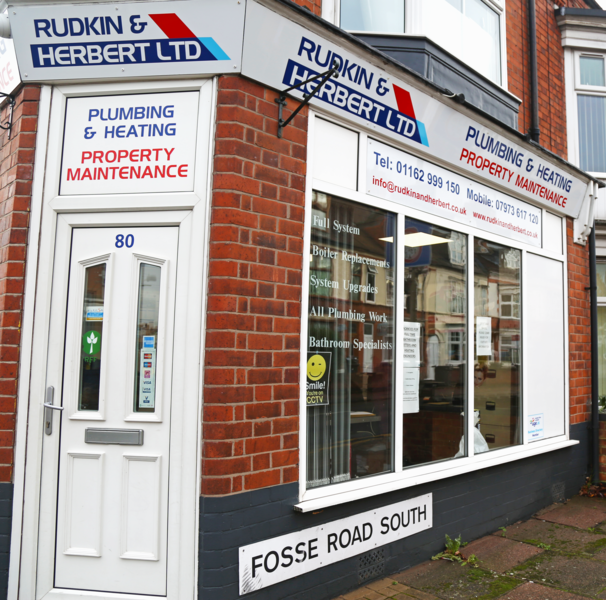 I would highly recommend Rudkin and Herbert and congratulate them on there skilful work. Professional, hardworking & trustworthy- Fantastic job. From the quote to the finished job we have been over the moon with the company. They are professional, punctual, hardworking and have done exactly what they said they were planning to do. Ian who did a thorough assessment of the work and tried to think of every possible thing to ensure that our supply was fast and efficient compared to other companies who were not so thorough. Glen and Joe worked non- stop and ha e done a fantastic job, they turned up when they said they were going to and always polite and friendly even when they had encountered problems along the way (due to this the bature if our property) to which they were able to solve with minimal disruption and with a lovely finish! We would definitely recommend this company, although make sure you have plenty of coffee and sugar in stock! Thanks again. Pleased with the work quality and explanations of any mods required. Very competent plumber. Jason and Cameron worked very hard for five days to complete a very difficult task of removing small bore heating, replacing with 15 mm and a new Cylinder. Their attitude was excellent and the site was kept clean and tidy, I would thoroughly recommend these guys and Rudkin & Herbert. Central Heating Boiler replacement, including some upgrading /improvements to central heating system. 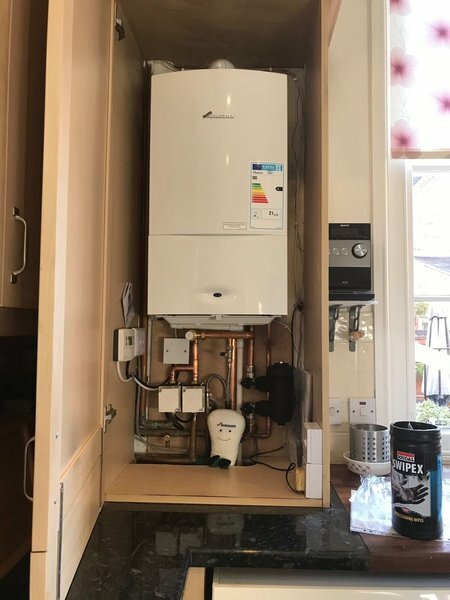 Work was quoted for within 24 hrs of initial visit Work started on installation of a Worcester Combi Boiler and new radiators exactly to the hour as promised and agreed All work completed in 4 days including stripping out and disposing of old tanks and boiler. Returned to fully explain controls. So satisfied they are installing a replacement boiler in another house of mine.